BoosterMedia recently opened an office in Tokyo, as a first step to increase the company’s international footprint outside the Amsterdam head-office. From the new location, main business focus will be on operational support for Japanese partnerships and attracting new games IP. Laurens Rutten, CEO of BoosterMedia, comments: “Japan is one of the worlds leading game markets with some very strong IP creation. And, although sometimes overlooked from ‘the West’, many of the biggest successes in the mobile games industry today are actually from Japan. We see tremendous opportunity to bring good IP and lessons in game-mechanics to the overseas markets where BoosterMedia is active”. 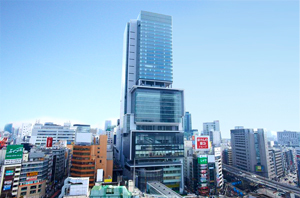 The new Tokyo office is located in Shibuya where much of Japanese mobile games industry is concentrated. Later this year, BoosterMedia will open offices in Sao Paulo, Brazil, and Singapore too.